Have we all become Gnashnabs? I probably am one of our prime gnashnabs. The Rebuttal has been around for over ten years now. In that time I have complained about anything and everything that impacts on the ability of people who are Deaf or disabled to live a life that they see fit. I have complained about Deaf Society’s and the lack of Deaf people leading them. I have complained about cinemas and their inability to provide a source of access that does not break down mid movie or indeed not start at all. I have complained about our Deaf sector advocates for not consulting nor listening to Deaf people. Rather they would choose to dictate to Deaf people what they thought was good for them. I even complained about Graeme Innes, who is sacred in the disability community. Yup, I am a gnashnab who is right up there with the best of them. The paradox is that our Australian society, and indeed our disability legislation, means that the only way that we, the Deaf and disabled, can get change is to complain. When things are lacking, if we want them to improve, we have to bring attention to them. No captions? Then we have to complain that there are none. No accessible toilets? Then we have to complain that there are none. Can’t get on a bus cos bus stops are in accessible? Then we have to complain about it to action change. Our very own Disability Discrimination Act is so pathetic and weak that it requires the whole of the Deaf and disability population to become gnashnabs for it to even kick into action. I am probably taking a much too liberal interpretation of the word. 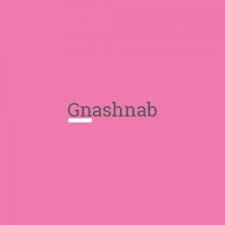 I think gnashnab mostly refers to people that continuously make petty complaints. But the thing is that we Deaf and disabled people have become so accustomed to complaining that the minute we get a chance to complain, we do so. And so it was recently when the Deaf guy got kicked off Ninja Warrior. I confess I had no Idea that a Deaf guy was on Ninja Warrior. I wasn’t watching that crap. Instead I was watching other crap called Masterchef. But the world being what it is, within minutes of it happening, I found out that Deaf guy screwed up on Ninja Warrior. First it was Facebook Messenger and then it was Facebook itself. Maria came on Messenger asking me if I knew the fella. She messaged me and Mike. I didn’t know him but Mike did. “He didn’t last long.”, said Mike. That was kind of ironic because Deaf guy lasted for a fair few days after that. It seemed that every other post on my Facebook feed was about Deaf guy. Now I don’t want to understate the achievements of Deaf guy. That he lasted 3.7 seconds of the obstacle course doesn’t matter. His achievement was being there. His achievement is being a wonderful specimen of a fit human being. He is 48 and fit as a fiddle. He pumps iron and has a body many men, years his junior, would be proud of. I, as a lump of lard, envied him greatly. Let’s take nothing away from him. He is awesome. That said, he lasted 3.7 seconds. He jumped from one board to another. Slipped, his foot hit the water and the buzzer went off. That should have been the end of it because once you touch the water you are out. But he seemingly didn’t realise his foot had touched water and carried on. It was all a bit cringe-worthy because a studio official blocked his way waving frantically while his stepson interpreted for him that his time was up. Deaf guy looked pained and shocked. Nevertheless, he accepted his lot with dignity and hopped down. His Ninja Warrior journey was over. But not for the gnashnabs. I am not sure poor Deaf Guy realised what was coming. Probably just as well because if he had he may well have chosen to never leave home. The minute he slipped Channel Nine became Deaf and Disability public enemy number one. How dare they let Deaf guy go up there without a proper interpreter. How dare they not put flashing lights in for him. You know, he didn’t even understand the rules properly cos he didn’t have a proper interpreter. How dare Channel Nine make him look like such a doozy in front of the world. And it went on and on. As we say to our friend James when he is hysterical – CALM DOWN FLUFFY!! Of course the gnashnabs are entirely right. But lets put a few things in perspective. The producers of the show probably had no idea of the political sensitivities that the gnashnabs had highlighted. Most likely the Deaf guy and his family were their sole source of information about deafness. Sure they could have researched better but if Deaf guy says, ” .. hey its OK my boy can interpret.”, who are they to refuse him. It’s likely they had no idea of visual alerts. Let’s face it, the visual alert could have been as simple as a red flag waving so that Deaf guy knew his foot got wet and he was out. It is a fact of life that we Deaf and disabled often have the responsibility to inform and request. We have to disclose our needs. If we do not then most likely we wont get. It is not fair but that’s how it is. None of us know what happened with Deaf guy and the producers but to hear the gnashnabs was to think that Channel Nine had near murdered him. The truth is there were many risks that Channel Nine created and they could have been in serious trouble. Say, for example, he got the wrong information from the “unqualified” interpreter, jumped the wrong way and broke his neck? Who would be liable? Most likely Deaf guy cos he probably signed a waiver. But perhaps the waiver was written in a way that he did not understand and he signed it without being fully informed. There are heaps of scenarios. And then there was the poor stepson that interpreted. He was virtually labelled as incompetent and setting his step dad up to fail. How bad was that? I really felt for him. I think that to say many of us over-reacted is putting it kindly. Is this the society of Deaf and Disabled that we have created? Have we created a group of people that, by conditioning and necessity, react angrily and complain incessantly? Is this because they know that this has been the only way that change has happened in the past? So that’s what they do. It doesn’t make for a fun world to live in a lot of the time. All I can say … is fix that bloody DDA please, and quick, so we dont all have to continue to be a bunch of gnashnabs. It’s embarrassing and tiring!